Movie Group are planning to see Atila Battle Angel on Monday 11th February. Set several centuries in the future, Alita is found in the scrapyard of Iron City. Ido, a compassionate cyber-doctor takes the cyborg Alita to his clinic, where he repairs her. 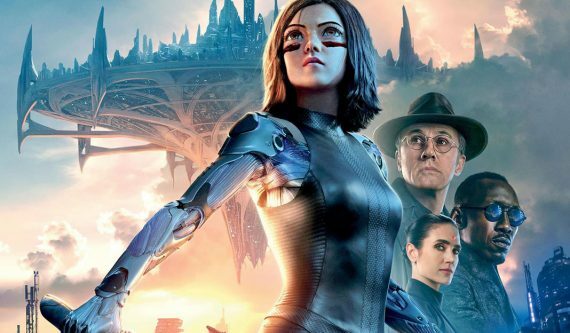 When Alita awakens, she has no memory, nor does she have any recognition of the world she finds herself in. As Alita learns to navigate her new life and the treacherous streets of Iron City, Ido tries to shield her from her mysterious past. For information on screening times and how to join the group, please call Colin Hughson on 07557 118352. You can also use your CEA card if you plan to see the movie with your support worker or carer. Movie Group is run on a voluntary basis by Colin Hughson, a Team Leader, who has been with Yourway for the past ten years. Whilst supporting became aware that some people began organising these events when he joined Yourway ten years ago. Colin came up with the idea of a Movie Group whilst supporting customers. He recognised some people were anxious about going to the cinema alone, especially in the winter months. Hey Ben Vleminckx thanks for the follow. We really appreciate it!